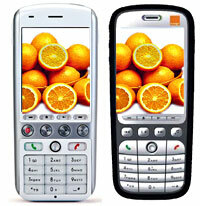 gPhone: Google/Orange Phone Set To Take On Apple iPhone? According to a report in yesterday’s Observer, Google has been cosying up to mobile giants Orange with a multi-billion-dollar plan to knock out a ‘Google phone,’ offering easy Web searches on the move. The branded Google phone is expected to be manufactured by the Taiwanese smartphone/PDA makers, HTC, and come with a screen similar in size to a video iPod. The phone will come with optimized Google software designed to speed up the notoriously cumbersome task of surfing and searching the Web on a handheld device, and offer mobile versions of Google applications such as Google Earth, Gmail and Google Docs & Spreadsheets. Palm Treo users will already be familiar with some of these programs with the superb Google Maps for Treo application scoring full marks in our recent review. The Observer reported that the phone could access Google’s databases to offer a wealth of location-based searches, including personalised listings of local cinemas, restaurants and other amenities, and maps and images from Google Earth. Rumours of the Google/Orange partnership come as expectations of an Apple iPhone announcement are reaching fever pitch, with one Website suggesting that the leaking of the story could just be a cunning ruse to steal the thunder of an imminent Apple announcement.